SIMAN is a simulation language used throughout the world, much like GPSS and SLAM. 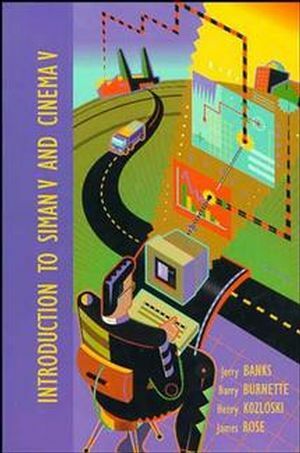 In industrial engineering, SIMAN and SLAM are the dominant simulation languages. About the Authors JERRY BANKS, professor of Industrial and Systems Engineering at Georgia Tech is the lead author. Dr. Banks is the author or co-author of many texts in simulation and other areas. Prominent in the simulation community, he served for eight years as the IIE representative to the board of the Winter Simulation Conference, and two years as Chair of that body. He has been very active in simulation consulting. His co-authors are Barry Burnette, Henry Kozloski, and Jimmy Rose. They are recent recipients of Master's Degrees in Industrial and Systems Engineering from Georgia Tech and have been influential in writing the book from the perspective of the student. Using the Interactive Run Controller. Animation Using Cinema in the ARENA Environment. Comprehensive, student-orientedintro to SIMAN V.
Teaches the language - not the theory of simulation and is written as a teaching tool, not a manual. Student version of SIMAN included (3, 3.5" disks) with each text.